Great for grandparents! Pre-registration required. Parents, grandparents and children come together and reflect on their family history by learning how to tell a story and record their history. Great for grandparents! 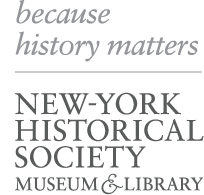 To pre-register, please e-mail familyprograms@nyhistory.org.